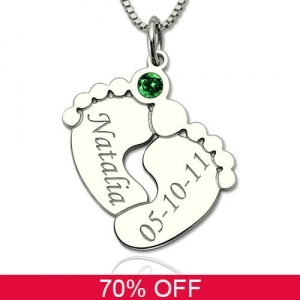 This delicate Baby Feet Necklace is a perfect memorial gift for a newborn baby and new mom. It is exquisitely handcrafted in gleaming sterling silver. 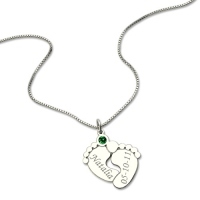 Personalized with one shining birth gemstone in the center and engraved with name and birthdate on two adorable baby feet.